The living close the eyes of the dead, and the dead open the eyes of the living. To live means to struggle: the slave for freedom and the free man for perfection. Yané Sandansky’s native village in the Pirin Mountains: its traditions, customs and way of life. The historical background’ the Russo-Turkish War (1877-1878), the liberation of Bulgaria and her subsequent dismemberment under the Treaty of Berlin (1878). Macedonia, including the Pirin area, remains under Ottoman rule. The Sandansky family flee, first to Gorna Dzhumaya, and then to Dupnitsa in the free Bulgarian Principality. Yané’s early life in Dupnitsa. His introduction to the movement for the liberation of Macedonia. Its two main components: the emigré Supreme Committee and the clandestine Internal Organization, united in aim but divided over tactics. His participation in local politics and the Mladost Youth Society. The Internal Organization’s efforts to strengthen the Supreme Committee as a source of moral and material support. Yané attends congresses of the Supreme Committee (1900 and 1901), as a delegate of the Dupnitsa Macedonian Society. Changes in the leadership of the Internal Organization following the arrest of its Central Committee (1901). Relations between the Internal Organization and the Supreme Committee deteriorate after General Tsonchev replaces Boris Sarafov as leader of the Supreme Committee. Yané supports the Internal Organization. Yané returns to Pirin and works according to the Internal Organization’s policy of preparing the population for liberation through revolution. Lack of funds force him to kidnap an American missionary, Miss Stone, for ransom. The Supreme Committee follows a policy of provoking risings in Macedonia designed to induce Bulgaria and the Great Powers to intervene. It attempts to impose its policy on the Internal Organization by sending armed bands into Macedonia. Yané resists these incursions and defends the policy of the Internal Organization. Yané tours the towns and villages of the Serres Revolutionary Region, building and strengthening the Internal Organization. Certain leaders of the Internal Organization adopt Supremist tactics and favour a speedy rising. I.O. Congress votes for a rising (1903). Yané opposes the rising as premature and insufficiently prepared. The Ilinden Rising (1903): preparation, course of events and defeat. In Pirin Yané participates reluctantly, receives Supremist volunteers and endeavours to protect population from Turkish reprisals. Surviving leaders of the Rising meet in Sofia. The emergence of two distinct trends within the Organization. Yané supports the lefter of the two, which opposes further risings in the foreseable future and calls for more democracy within the Organization. International repercussions following the Rising. Intensification of Serbian and Greek armed propaganda in Macedonia. Yané’s efforts to build the Organization on a multinational basis for a common struggle against tyranny. Further controversy over tactics. The Left declares that the chief task of the Organization is not to instigate rebellion, but to educate the population as conscious citizens capable of carrying through a revolution and building a new life. Serbian policy vis-à-vis Macedonia. New Supremist attempts to take over the Serres Revolutionary Region. Yané defeats an armed band led by Capt. 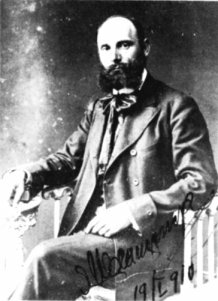 Stoyanov (1905). Yané tackles problems connected with extravagant weddings, arranged marriages, hygiene, etc in the Pirin villages. Yané’s closest comrades and assistants. The Serres Regional Congress (July 1905) and the Melnik District Congress (August 1905). Resolutions on economic problems, education, health etc. The General Congress of the Internal Organization held in the Rila Monastery (October-November 1905). Apparent re-establishment of unity. Adoption of new Statute and Rules reflecting the views of the Left. Ultimatum to General Tsonchev, who agrees to suspend Supremist activities in Macedonia. Yané goes to Sofia to buy supplies. Yané returns to Pirin. Battles with Turkish troops. New Supremist incursions. Capt. Yankov’s cheta perishes in Vlahi (April 1906). Yané takes action against Supremist supporters in Vlahi and elsewhere. Serres Regional Congress (July 1906). The Right Wing of the Organization moves closer to traditional Supremist positions, advocating terrorism and new risings and rejecting internationalism and cultural and economic activity. Yané and the Serres leadership invite the other regions of the Organization to attend a second General Congress. Preliminary meetings are held in Sofia (December 1906), but the Congress is eventually abandoned. The Right Wing holds a ‘Consultative Meeting’ without inviting the Left (January 1907), thus splitting the Organization. Problems in the Serres Region. Serres Regional Congress (August 1907). Supremist inspired plots against Yané. Mihail Daev, Boris Sarafov and Ivan Garvanov are sentenced to death and executed. The split within the Organization seen as part of the general struggle between left and right in Bulgaria. Press reaction in Bulgaria to the killing of Daev, Sarafov and Garvanov, and related matters. The Kyustendil Congress of the Right Wing (March 1908). The joint Congress of the Left (Serres and Strumitsa Regions—May 1908). Decision recommending Balkan Federation as the ultimate aim of the Organization. The Young Turk Movement. The Left seeks contact with the Young Turks and other revolutionary groups within the Ottoman Empire. Yané tours villages in south Pirin. The Young Turks seize power and the Sultan restores the Constitution (July 1908). The Young Turk Revolution is acclaimed by the whole population of the Ottoman Empire. Yané meets Young Turk leaders and travels to Salonika. Legal political activity becomes possible. The Left issues a Manifesto and a Programme stressing the need to take the revolution further and to work towards the full democratization of the Ottoman Empire. Friction between Left and Right in the Organization continues. The Right, supporting the policy of Prince Ferdinand and the Bulgarian bourgeoisie, adopts a negative attitude towards the Young Turks, and founds the Union of Constitutional Clubs. Yané criticizes certain aspects of Young Turk policy and urges fundamental reforms. A projected General Congress of the Organization is wrecked when right-wing gunmen attempt to assassinate Yané. Turkish reaction stages a come-back, but is defeated. Yané helps to defend the Turkish revolution and participates in the dethronement of Sultan Abdul Hamid (April 1909). The Left Wing founds the People’s Federative Party (Bulgarian Section) in opposition to the Constitutional Clubs (1909). More right-wing plots against Yané. A second assassination attempt. Conflicts within the People’s Federative Party. Yané goes to live in Melnik, becomes a diocesan councillor and works to improve Bulgarian education in the Melnik District. The Young Turks fail to live up to expectations. The Right Wing resumes clandestine activity (1910). The situation goes from bad to worse, and those who favour war as a means of settling the Macedonian Question gain the upper hand. Yané and the Organization assist the Bulgarian Army during the Balkan Wars (1912-1913). Following the defeat of Bulgaria (1913), Serbia and Greece acquire most of Macedonia, and only the Pirin area remains Bulgarian. Yané lives in the Rozhen Monastery, and is active in Bulgarian politics, supporting the Opposition against the Government in the hope that fresh national disasters can be avoided. He is finally assassinated by agents of the Court of the Right Wing (April 1915).